Montesino cigars are wrapped in Connecticut-shade light-colored natural wrapper or dark Maduro wrapper offering a diversity in the flavor of the cigars. These hand-made cigars use high-quality vintage tobacco that has been aged for a long period of time. The Pyramid vitola comes wrapped in a special Ecuadorian sun grown wrapper, which gives it a distinct spicy flavor. These smooth, full-flavored cigars are made of long-filler tobaccos grown in Dominican Republic. The strength of these cigars ranges from mild to medium. The silky Connecticut shade wrapper of these cigars burn evenly and offer a woody flavor. These hand-made cigars come in a length of 5 inches to 7 ½ inches and are a dream package for mild-strength loving cigar aficionados. So pick up a Montesino vitola of your choice, sit back, relax and enjoy the exquisite smoke while sipping a diet coke, a non-alcoholic beer or a blended scotch depending on your palate and preference. 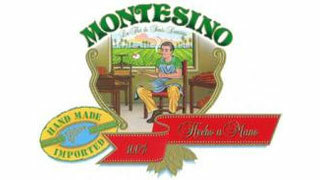 Montesino Cigars come from one of the most respected and popular cigar families—the Fuentes. In fact, Montesino was one of the first cigars the Fuente family rolled in their new home, the Dominican Republic. The success of the Fuente family, who moved to the Dominican Republic in 1980 with just 7 employees, can be gauged from the fact that today the family boasts of 4 factories in Santiago. The Montesino repertoire includes Diplomatico, Robusto, Gran Corona, Churchill, Lancero and Toro. EXPERIENCE THIS VINTAGE MILD - FLAVORED SMOKE BY ARTURO FUENTE. GRAB A BOX!